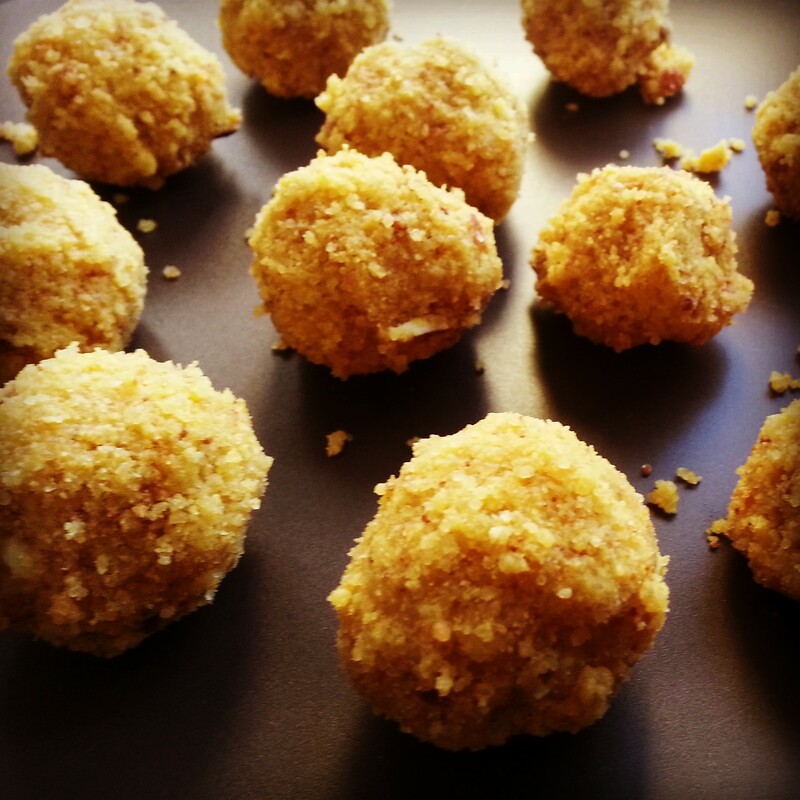 A very popular sweet in the Indian subcontinent ‘Laddu’ or ‘Ladoo‘. It is a personal favorite. Laddu comes from the Sanskrit word ‘lattika’ meaning a small ball. It is believed to have originate from Mauryan times. 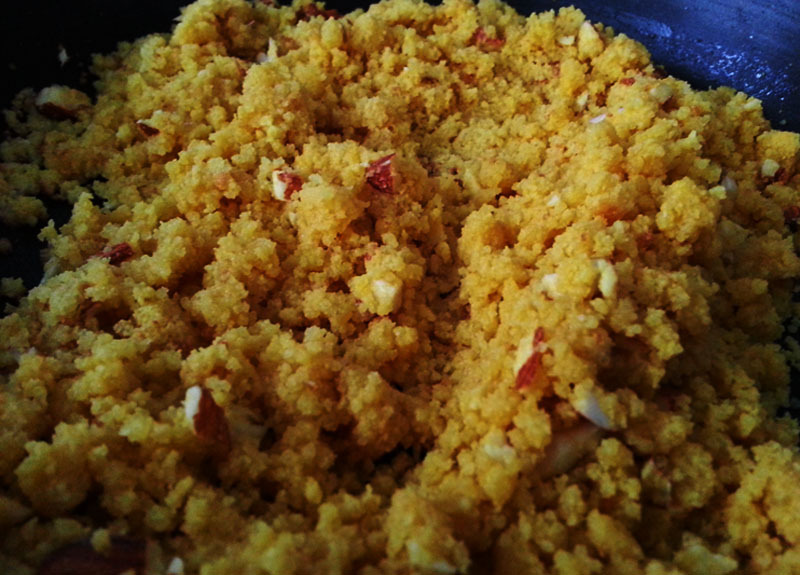 The three main ingredients are Chickpea/Gram flour (also known as besan), Clarified butter (Ghee) and Sugar (Chinni). Although a few more ingredients such as milk, almonds and desiccated coconut can be added to make is a bit tastier. ‘Ladoo’ is mostly prepared for festivals in India and is often used as offerings to religious deities. Yesterday, I was craving for something sweet fortunately there was no chocolate in the house. So I decided to make ‘Ladoo’, since I had not made them for a long long time. 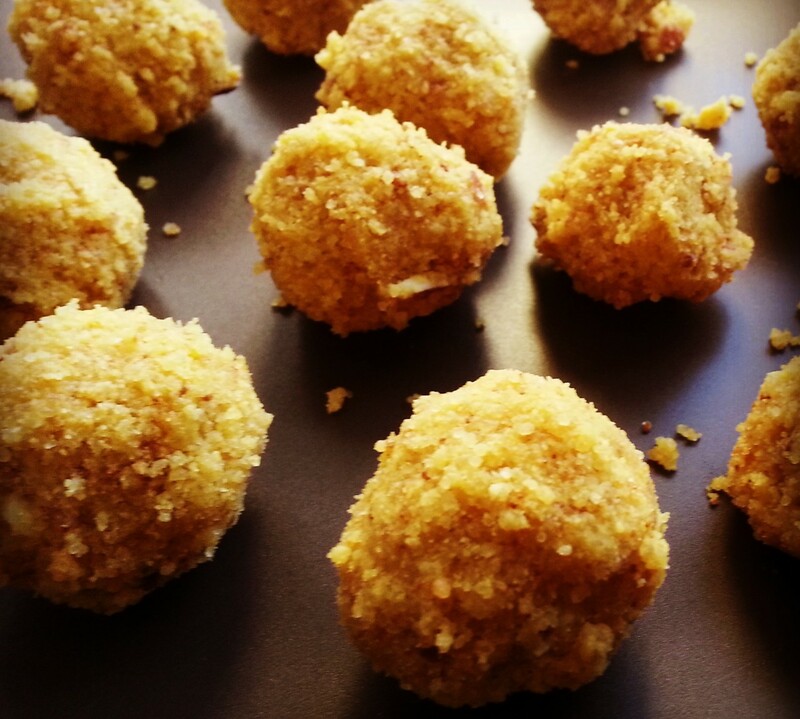 ‘Ladoos’ are one of the quick and easy sweet recipes. You can add cashew nuts and raisins also. A easy sweet dish that can be stored and eaten post meals or those post dinner cravings!